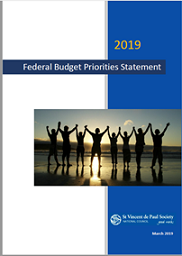 Our responses to this year's Federal Budget focus on what our communities need to tackle inequality, overcome entrenched poverty, and ensure everyone has access to the services and supports they need. 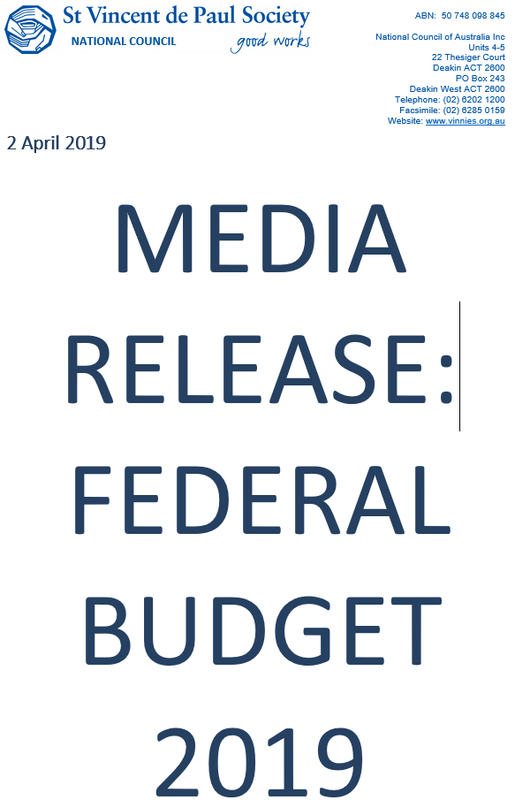 The 2019 Federal Budget delivers a surplus. But, what does a surplus mean to the everyday life of the growing number of families and single people who are, right now, living in entrenched poverty? While this year's Budget provides modest investments in some key areas of need, it ignores the plight of the most disadvantaged Australians by failing to increase social security benefits or tackle the nation’s housing and homelessness crisis. 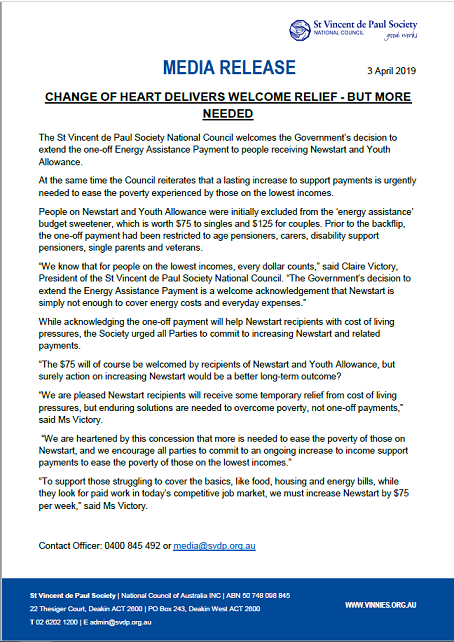 In less than 24 hours after the Budget was delivered, the Federal Government has reversed its decision to exclude Newstart and Youth Allowance recipients from the one-off energy assistance payment. While we welcome this policy reversal, enduring solutions are needed to overcome poverty, not one-off payments. 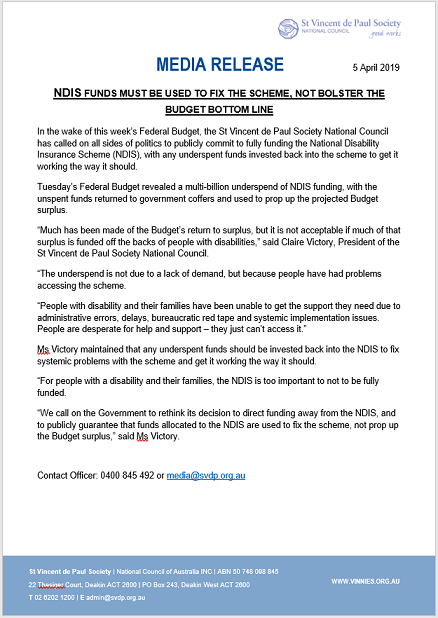 With the Budget Papers revealing the Government's surplus is propped up by an underspend in the NDIS, the Society calls on the Government to publicly guarantee that funds allocated to the NDIS are used to fix the scheme, not bolster to Budget bottom line. 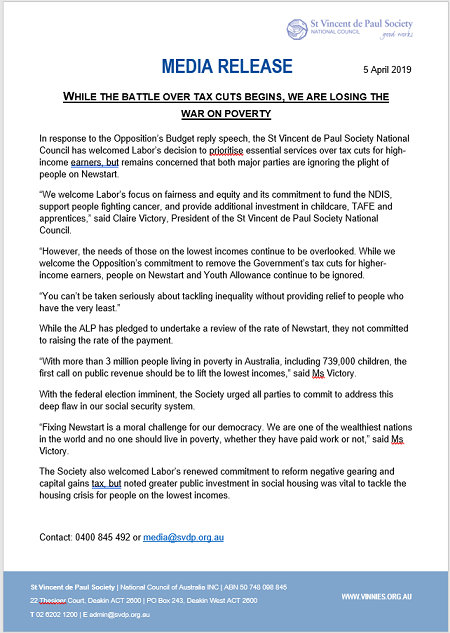 In response to the Opposition’s Budget reply speech, the St Vincent de Paul Society National Council has welcomed Labor’s decision to prioritise essential services over tax cuts for high-income earners, but remains concerned that both major parties are ignoring the plight of people on Newstart.